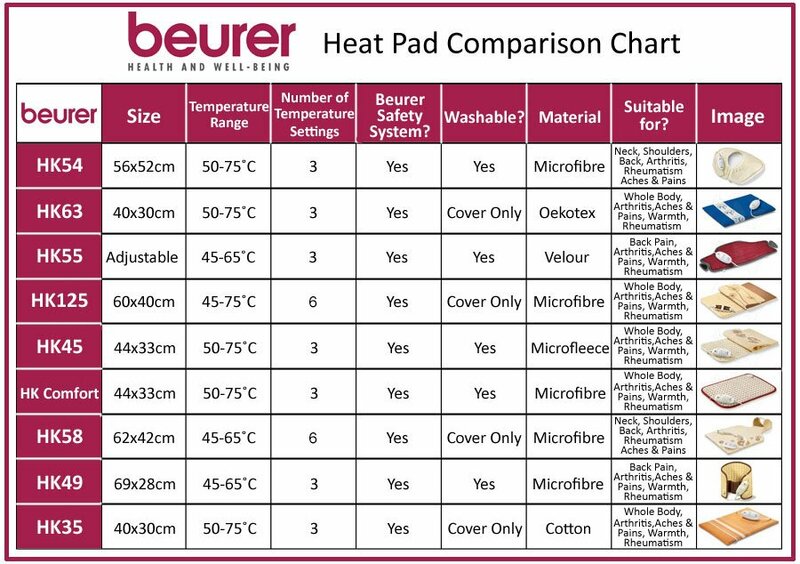 An extra special heating pad brand new from Beurer... who else! The Beurer HK65 Aroma Heating Pad delivers all the soothing warmth of any other Beurer heating pad whilst diffusing aromatic fragrance to ease tension and soothe cold and flu symptoms. This really is a luxury – a gorgeous gift for others or a little treat for you. The Beurer Aroma Heating Pad is cleverly designed to house an insert. Provided with a choice of 2, you can choose to relax with the soothing scent of lavender, lemon balm and melissa, or ease away the discomfort and congestion of a cold with therapeutic aniseed, thyme and peppermint . Even the cover of this Aroma heating Pad is infused with skin-friendly, soothing aloe vera. You can control the temperature of this Beurer Heating Pad with 3 adjustable heat settings and it evens features an automatic switch-off function for your peace of mind. The Beurer HK65 Aroma Heating Pad truly is irresistible.